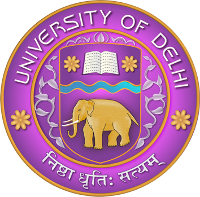 Delhi University or DU is one of the leading universities of the country outside the constellation of the IITs, IIMs, Law schools and so on. It is no exaggeration to state that for many of the courses and also for many of the colleges, the aspirants come from far and wide – India and abroad. In fact, the aspirant-seat ratio for some of the programs would be higher than for the IIT or IIMs which are considered among the toughest places to get into in the world of higher education. Arguably, SRCC, St. Stephens, LSR courses and alumni carry as much halo at the UG level as the IITs, law schools and the IIMs. A board exam, essentially, is an exit gate from a system of study. The class XII public board examination system represents that exit gate. For each of the boards, the exit gate determines the scholastic achievement of the student based on her own syllabus, marking criteria, grading system and so on. While these different boards across the country and their syllabi are comparable in a broad sense of the term, it would be incorrect to presume them to be exact or even that the ‘normalisation’ scores generated are without imperfections. The exit gates are linked to large measures of the goals of the board of examination which, in turn, is normally aligned to the national goals of education and human development. Such metrics as improving literacy rates, lower drop-outs, etc would capture the outcomes at the exit gates. In other words, the exit gate assessments being used as entry gate passes is a fundamentally flawed process. Of course, the challenges of resources, multiplicity of colleges, courses, exams, thin demand for higher education (decades ago) and so on were the historical reasons for the choice behind allowing the exit gate scores being used as entry gate passes. In that sense, the only way to deal with the craziness of the demand for DU colleges is to institute a simple aptitude test for the courses in a manner that is similar to get into law schools or the IIMs. A particle weightage to the marks scored in the relevant subject in class XII could be used or even completely dispensed with. Aptitude for commerce, computer science, economics, mathematics are assessable through a common entrance exam that addresses the needs for over a 100 colleges and at least the most sought-after dozen courses across DU. Needless to say, the multiplicity of exams for each cluster of colleges is a huge reason for stress for the young scholar as well as the parents/family. What is the long term solution ? While an entrance examination is a mandatory process to ensure level a playing field and transparency in the process, it must take the path of CAT (IIM entrance) rather than the path of the IITJEE. The former focuses only on the aptitude while the latter tests the depth of knowledge. There are many persuasive reasons why aptitude testing is a more robust model. But, that is another story for another day. In the not-too-distant a future, I do see a common entrance exam conducted by a ‘National Testing Service’ that will cater to all the undergraduate program across universities. If such an initiative also prohibits any institution to conduct its own entrance exam, I would not be surprised. Perhaps, it is desirable indeed. Just visualise an Indian SAT equivalent for all colleges and courses. True, a holy cow or two might still be exempted! What to prepare for if you are aiming for DU admissions in 2017 ? The areas that could get covered would include aptitude based questions to test your numerical ability, logical reasoning, decision making, English comprehension, etc,. General awareness is something that is expected of a youngster regardless of his or her area of interest. So, that is something that must be paid attention to. A 20 minute every day habit of reading a newspaper would be sufficient. I also do not rule out a second round in the top league of colleges where the demand is insanely high. And the college does reserve the right to use their judgement to decide the suitability of the candidate, his or her aspiration, and so on. This could take the shape of a personal interview, subject interview and so on. If you are your child is preparing for college life and if DU is on the target list, please stay cued into the developments that are taking shape. Many a time, a significant change comes in the most unnoticeable way.